Whom Do You Write For? 'Pandering' Essay Sparks A Conversation Novelist Claire Vaye Watkins recently published an essay called "On Pandering," about realizing she was writing to appeal to white men. She and author Marlon James discuss responses to the piece. Claire Vaye Watkins' new novel is Gold Fame Citrus. 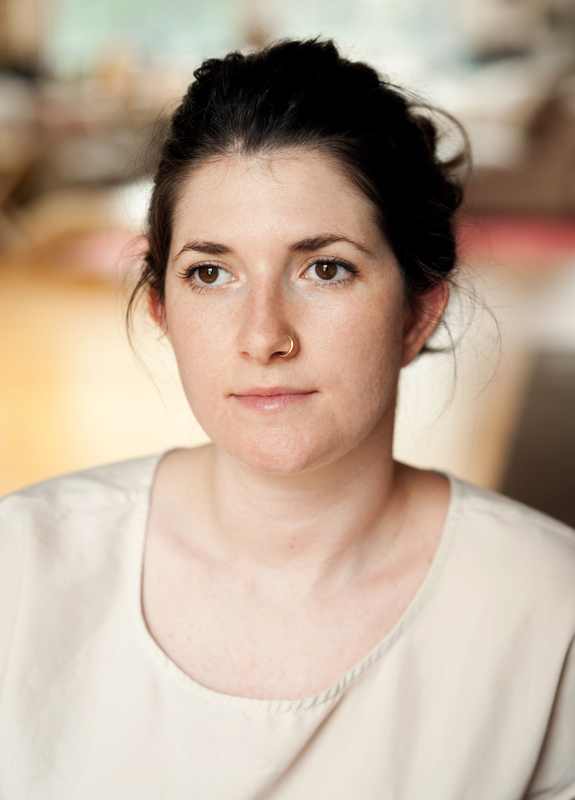 Clare Vaye Watkins is an acclaimed writer: Her debut novel, Gold Fame Citrus, is a sharp post-apocalyptic tale of drought and survival that won critical raves. And she recently published an essay about how, for all her success, she felt that she wasn't herself on the page, that she was changing her writing to appeal to male readers and critics. She called it "On Pandering." Watkins tells NPR's Steve Inskeep that for her, pandering meant "internalizing the sexism that I'd encountered in the writing world, and the world beyond, and adjusting what I wrote accordingly so that it would be more well-received ... by the people I wanted to impress, which was a white male voice that I had in my mind. You know, the person speaking to me as I was writing had an Adam's apple." Watkins described that voice as "maybe a combination of an imagined male editor, in professional terms, but then also in my reading life. I read some women, but I didn't read them the way I read male writers, people like Hemingway or Fitzgerald or Faulkner or Salinger or David Foster Wallace or Jeffrey Eugenides," she says. "I thought of those as the standard bearers, and the types of writing that I had to aspire to to be accepted. Whereas when I read someone like Toni Morrison ... I wasn't giving her voice the same authority and gravitas." 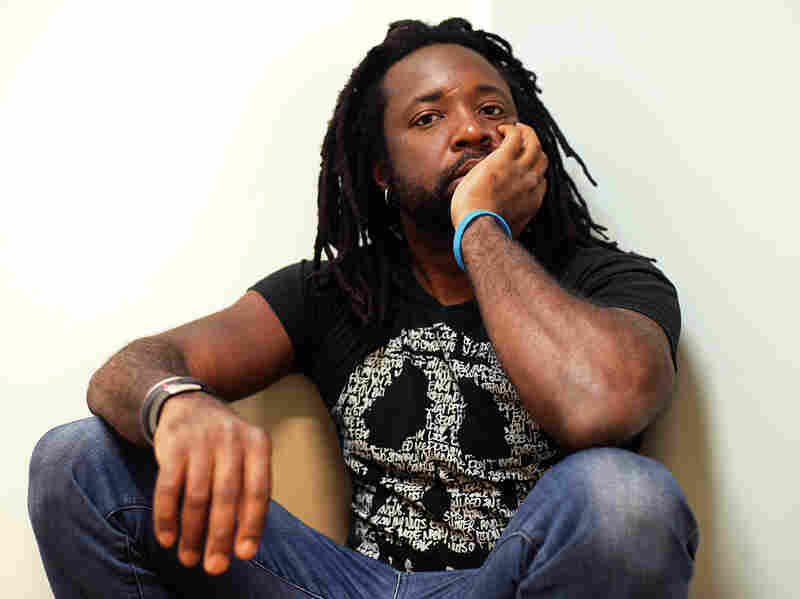 Marlon James won this year's Man Booker Prize for his novel A Brief History of Seven Killings. "On Pandering" got a lot of responses — and one of them came from Marlon James, who won this year's Man Booker Prize for his novel A Brief History of Seven Killings, and who heard Watkins present the essay as a speech. He calls it a game-changer sure to spark discussion. "One of the discussions that it sparked ... were a lot of women of color were saying, 'Well, this is interesting,' it's not a put-down, 'but I find myself writing to impress white women.' What these responses and my response bring to the conversation is the commercial aspect of publishing," he says. "You know, I still remember the first publisher to see my second novel, which is a novel about women, about black women, slaves, and she basically asked me if I would turn it into a Jane Austen novel ... because there's a market. And it's one of these fissures we don't want to talk about, because we're bringing race into the discussion — but it's the kind of essay that says, yes, bring it in!" Watkins: I was happy, excited that the conversation had all these new voices in it. And I think I started the speech, even, by saying, "I'm asking questions. If you've come to listen to this for answers, you might want to go to a different talk, because I don't really have the answers." And so I was delighted to hear it. I actually don't think it's that much of an argument — I mean, it doesn't seem like these positions are actually opposed to one another; I think that they're parallel. James: I agree totally. I thought that these arguments aren't in opposition to each other. They're extending the argument, they're turning it around, they're saying, "But what is this view?" And I think it's the type of argument that also opens up to, you know, I would actually like to hear the white male view on it. Watkins: I would say that the directions matter, right? The fact is, it's really different for a person who is in power, whose voice is treated as authoritative and the given and the so-called universal, and then, traveling the other way, my friends who are writers of color, their work is received with this burden that my work isn't received with, which is that you have to represent your people. My husband is half-Cuban, and the question that's implicit in responses to his work is often, are you Cuban enough? James: It's true, and when writers of color do an actual "othering" — you know, the first time I heard a gunshot was when I went to a Martin McDonagh play — we must be witness, we must be direct witness or victim of the thing we are writing about. Otherwise, by what authority are we writing about it? ... But to come back to the thing about the white man writing about the other, then that becomes perilous ... this sort of cultural ventriloquism which is still, still makes a lot of money. Because then I have my friends who are white male writers who feel so skittish about, "But I really want to write about Haiti!" I say, listen, there are a million ways to fail, and most people have, but do it anyway. By the way, every person before you has failed, but do it anyway. Because I think it's a worthy discussion — there are examples of people pulling it off, as far back as Othello. Do it! Watkins: It seems like there's a kind of sexism towards that mythical white lady reader, where we really underestimate her, right? We say, "Oh, she needs this white character, she needs it palpable, she only likes Jane Austen." Do you think there's something to that? James: I think there is something to that. What I was saying, "When all of you think I was actually attacking the white reader, or the white woman reader," I said, "no, I'm attacking the expectations that are put upon her." There are too many books, including my own, that prove that argument ridiculous. And I'm not sure why it still holds. But we do have that — there is this sort of "white woman reader who wants a sort of sugarcoating on all her pills." Editor's note: Riverhead Books publishes books written by Watkins and James. The idea of having the authors discuss their differences, however, came from NPR — not from Riverhead.